Buy 4 refills, Get 1 FREE! New Aquasil Ultra+ Smart Wetting® Impression Material in the Digit™ Targeted Delivery System. Aquasil Ultra+ delivers even better performance, and meets a broader range of impression case needs and techniques than industry-leading Aquasil Ultra. Its intraoral hydrophilicity and intraoral tear strength provide excellence in even the most challenging of circumstances. Highest intraoral tear strength*: Leading tear strength when it counts the most, in thin cross-sections when being removed from the mouth. Highest intraoral hydrophilicity*: Leading hydrophilicity when it counts most – in the natural conditions of the oral cavity. The material is designed to avoid trapping fluid from the moment it is syringed in a moist, humid environment, helping alleviate voids and bubbles at or near the margin. And it continues to work well with moisture after it leaves your office, delivering accuracy at the lab to deliver properly fitting final restorations. The Digit Targeted Delivery System and its single-use cartridges get you up to 34% closer to the prepared tooth and put precision placement at your fingertips. Unique double-arch tray viscosity: A tray material that provides extra dimensional stability for your single-unit dual-arch tray cases. Long intraoral work time with shortened total set time: Spend time where it counts. *Data on file at Dentsply Sirona. 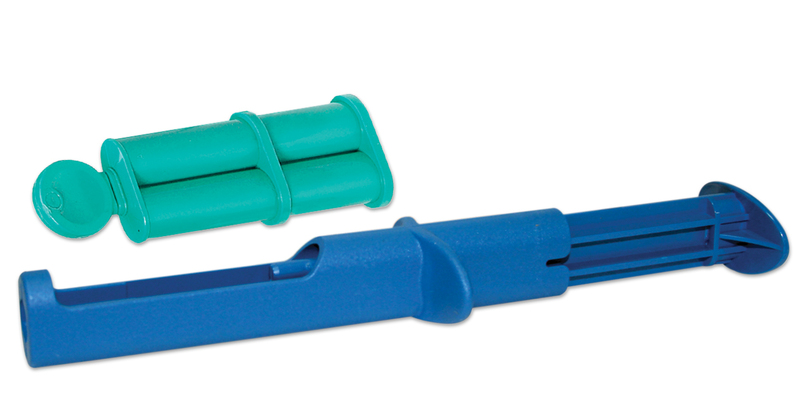 Contains: 50 x 1.6ml cartridges, 50 mixing tips, 50 intraoral tips. Contains: 50 x 2.4ml cartridges, 50 mixing tips, 50 intraoral tips.